The flexibility to transform a performance space quickly and effectively, both in the audience as well as on stage, is critical to multipurpose halls. In 2008, The Bexar County Performing Arts Center Foundation was created to undertake the renovation of the historic San Antonio Municipal Auditorium and convert it into a world-class multi-use performing arts centre. It is now scheduled to open with The Ballet San Antonio, OPERA San Antonio and members of San Antonio Symphony when they perform together on the Performance Hall Stage on September 4th 2014. The Tobin Center for the Performing arts is a unique venue with a state-of-the-art facility for San Antonio’s cultural arts groups. 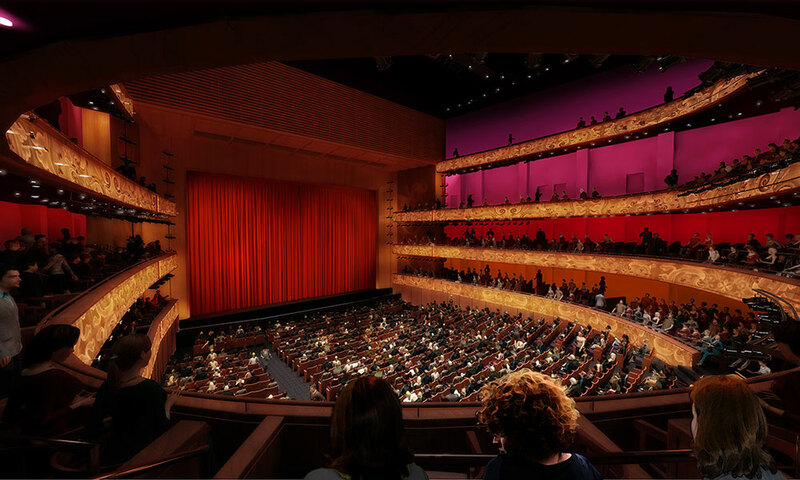 It was the Bexar County Performing Arts Center Foundation’s vision to host large touring shows, the San Antonio Symphony, the San Antonio Opera and other performances within the Tobin multipurpose auditorium; additionally they wanted a venue that could provide a space for local theatre and performance groups. The highly flexible space within the main auditorium has been designed to make it accessible to either large or small events or performances, without the need to segregate events into two separate and unequal spaces. The auditorium is outfitted with a 750-seat Gala Venue reconfiguration system that can convert the traditional raked seating to a tiered configuration, a flat floor, a tiered cabaret, or to any number of varied configurations depending on specific event/performance requirements. Gala has been proud to be involved with such an innovative project working closely with LMN Architects, FDA consultants, The Projects Group and Linbeck General Contractors to make the Gala Venue project a real success within The Tobin Center for the Performing Arts. We look forward to the opening and seeing the Auditorium come alive for the first time on September 4th.